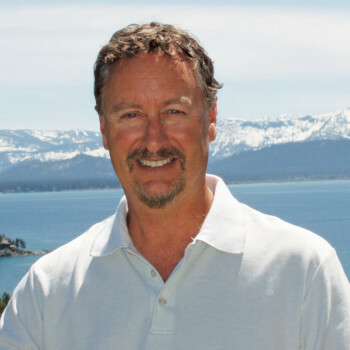 Jim Porter arrived in Emerald Bay, Lake Tahoe in May 1976. He has agreed with Mark Twain's quote" the fairest picture the whole earth affords" ever since. Jim embarked on his real estate career with Coldwell Banker in 1991. He has been a top producer since then. Jim has had experience in a variety of real estate markets and economic conditions. With that kind of history Jim has the knowledge and experience to help guide you through any market and give you the service you deserve. When chosing a real estate professional, once again experience is the key to a positive outcome. Buying or Selling, "For the Fastest Smoothest Sale", call Jim, who is" Always Working for You". Before he found his calling as a real estate professional, he worked as a Merchant Marine on the Great Lakes. He attended Eastern Michigan University with a major in Accounting and a minor in Marketing. After making his home here at the lake, Jim worked in construction, tree removal and for many years as a Casino Bartender at Del Webb's properties. As a result Jim sold many properties to and for many casino executives and employees. His recreational pursuits with his family include: extreme skiing, sailing on the azure waters of Tahoe, Hiking mountain peaks, and playing golf at the amazing and challenging local courses. Licensed Realtor in NV & CA. Specializing in the sale and purchase of luxury lakefront and view residences. I also sell cabins, condos, mountain homes, commercial, multi-family, and investment properties. I truly love this area and pride myself on my knowledge of current transactions, school districts, neighborhood information, and related services, including mortgage, insurance and inspection information. I am a customer driven Realtor dedicated to achieving results and providing exceptional service. If you are in the market to buy or sell a home, I will put my 21 years of real estate expertise to work for you!